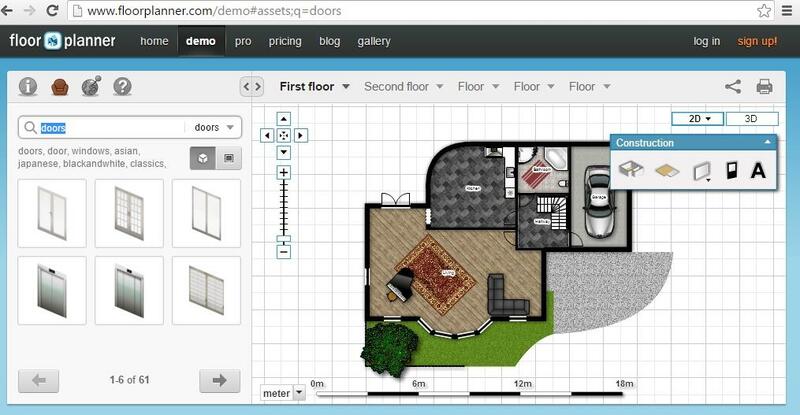 Are you looking for a software to help you in home designing? There are plenty available in the app stores, but before you go for one, make sure you get the right one with some basic criteria met in its features. This article contains a list of such features which you should check before you choose one for yourself. Have a look before you shortlist the right app. An ideal home designing software would be the one, which is inviting enough for both novice and professionally experienced users. However complex its functionality be, the more it should be easy to work with. The basic concept behind is that, the software should make the work of house-designing easy for you and not the other way round. An ideal home designing software needs to be intuitive enough to create a well-planned design for your dream home right from a scratch and won't let your spirit go down with a few frustrating attempts. It needs to have a wide collection of sample home plans that can come handy to make you familiar with how the software works as well as providing innovative ideas to chalk out the best floor plan based on the measurement you feed in. Chalking out any design that suits you best, starts with an estimate of money it can cost you. Including the best applications that allows you to design freely with every detail, like lighting effects and landscaping, the software has to offer a cost estimator which can calculate approximately how much it can cost you to execute the entire project. While creating a floor plan, as and when you go ahead with your design, you need to get a proper preview of your project. Today most of the home-designing software are offering 2D and 3D preview modes to give the nearest-to-reality look of your home from different angles. So while choosing the software don't forget to check out this basic option of preview. To simplify the process of home designing, you would need a software that has tools like deck designer, roofing wizard, and framing editor that would help make the designing process faster and easier. It should also make room for you to incorporate a personalized touch to add feathers to your creative spirit. Adding color schemes or textures that match to the other aspects of your house, or having options to add a theme color for your home could be one of them. Every home designing software has to have a library of objects that would complete the interior and exterior designing of your home. It can start right with the kinds of doors and windows you want to choose, to the details of which kind of plants would suit your backyard and for the lawns. They should also allow you to import 2D or 3D pictures to compare with your current design. All these options add to the multi-functionality of a software that helps you in weaving ideas and creativity with technical expertise. Depending upon the intricacies of the project and your prior experience, the need of being able to use the software is going to be definitely an important issue. At this point of time, any good software is supposed to provide a guide for help and support to the users. A step-by-step guide, with troubleshooting and FAQ should be available. So once you are all set with a project and are looking out for a suitable software for your home designing, check out all these above said features without which the designing process might not make things a breeze for you. Whether you are designing a new house or renovating an old one, the software needs to help you out in all possible means and ways and you should be coming out with a grin before you take up the real project in hand.